Although primitive forms of picture or character writing first started appearing around 4,000 BC, it was the Sumerians (Mesopotamia or southern Iraq) that seem to be the first ones to have developed a practical form of writing that today is known as Cuneiform at or around 3,000 BC. And while pictographs (using pictures to portray whole words or concepts) were in use long before that, Cuneiform writing provided a means of recording specifics. Thus it can be said that written history began at that time. And one of the reasons that we know that Medical Cannabis was well in use long before written history is that because so many civilizations (as soon as they obtain a written language), speak of it in their writings in the past tense as if it had already been in use for many hundreds of years before then. In order to continue, we first have to have a basic knowledge of Cuneiform. As can be seen by the table below, like many other forms of writing, it too seemed to start out as a series of basic pictographs. One in which each character equates to one word, but soon became (what is believed to be) earth's first written language. In order to simplify things; --- imagine yourself in a place without paper --- plenty of mud and water, but no paper. This kind of helps explain the very nature of cuneiform writing; literally wedge shapes on clay tablets. One can almost see how natural it would have been for a scribe to have simply taken a cut reed (many water reeds have naturally wedge-shaped stocks) and used it to imprint the delta-wedge unto the soft clay. Once developed syllabic cuneiform proved so popular that it quickly spread to . . . well just about everywhere else in the area. And why shouldn’t it, while different languages have different sounds, the basic sound syllables stay the same. Thus almost any language group can adapt cuneiform with ease. Here note that we are dealing with a completely different sound pattern and thus the syllable symbols needed to represent the word would obviously be different. However, this brings about an obvious question -- Why the Change? Answer - no one seems to really know. However, note how close its sound pattern is to the ancient Greek word for Cannabis. Which in turn is the source-word for our present-day word Cannabis, thus making it one of the oldest words still in use today. Today cuneiform writing presents us with two major problems. So which is right, which is wrong? Probably both (with my spelling problems, I should speak), again just be aware that different spellings exist. The second problem with cuneiform is that the ancient Sumerians didn’t seem to speak English very well. And because its been quite a while since any native speakers of Sumerian have been around we are now presented with some translational problems, which obviously have created some disagreements on the subject. 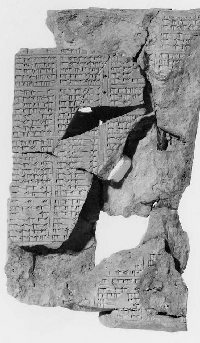 OTHER ASSYRIAN CLAY TABLETS: In addition to the clay tablet shown above the British Museum of London's archives also contains numerous other Assyrian clay tablets, which make mention of Medical Cannabis. 11. . . . Chrysanthemum segetum, Crataegus Azarolus(? ), . . . . henbane(? ), Arnoglosson, asafetida, . . . mint(? ), mustard, "saliva of the sea," . . . kanna-plant, gall apple, SIG. SIG-plant, . . . LAL-plant, hellebore, Cannabis, twenty-two drugs for driving out sorcery, . . . eating or drinking sorcery . . . together thou shalt bray, in beer he shall drink. [Starting on Line 2] Root of caper which is on a grave, root of acacia, right horn of an ox, left(?) horn of a kid that has been ~overed,~ seed of tamarisk, seed of laurel, Cannabis; these seven drugs are a cataplasm for the hand of a ghost, with which to bind his temples. [Starting on Line 1]. . . . [*Calendula], *Chrysanthemum segetum, lupins, asa(dulcis), IR.KUL.LA-plant, EL.KUL.LA-plant, . . . , Crataegus Azarolus(?) tamarisk, seed of tamarisk, . . tragacanth, the plant Alas'ara(? ), black [alum], white alum, nitre, AZAG.PAD5-salt, roses, Cannabis, fir-turpentine, pine-turpentine, nuhurtu-asafetida, root of nuhurtuasafetida, the plant kans'am, mustard, shoot of *Conium maculatum, rue, fennel, *mint, *Ammi, hellebore, asafetida. [Starting on Line 38] . . . (Practically duplicate of AM, 1, 4, 3+99, 2, 1.) Root of caper which (is) on a grave, root of thorn (acacia) which (is) on a grave, right horn of an ox, left horn of a kid, seed of tamarisk, seed of laurel, Cannabis, seven drugs for a bandage against the Hand of a Ghost thou shalt bind on his temples. 1 . . . . six times thou shalt plait (twist). 5. . . . ten(?) drugs . . . (this is from a copy from Assyria). The Assyrian Herbal, as we know it from the botanical lists and the medical prescriptions of the Royal Library at Nineveh, contains more than four hundred Sumerian names or expressions for plants, trees, and the like, and nearly twice as many Semitic equivalents for these. In medicine, more than a hundred of these were in common or fairly common use as drugs. Perhaps a hundred and fifty more, which were less popular, may be synonyms of the first hundred. A large proportion of these have been identified with their modern equivalents. These are drawn up in the plant-lists in double columns (the usual method in these syllabaries) which are subdivided into paragraphs or registers by cross-lines, the contents of each register relating either to one particular plant, or to similar plants connected with each other for some reason by the scribe. The arrangement of the order is peculiar, the botanists beginning, for instance, with grass, . . . . In addition Thompson goes on to point out various sub-meanings of the words; i.e. [In A-ZAL-LA the 'ZAL' part means to "SPIN," such as in, the plant that can be used for the spinning of cloth. As well as the similarity of these words [in our case specifically Cannabis] in other languages. But again, the exact meaning of these words is still somewhat open to interpretation, and the argument can be made that all of these references refer only to (what is now known as) "Industrial Hemp" and not Medical Cannabis per say. However such an argument begs the following question; Why would references to ropes or cloth, be made mention of in what are otherwise medical texts? Why we know so much about Assyrian Medicine? To my eye, the above relief shows members of ancient Assyria’s drug police. No doubt they just made a raid on a hospital, dragging off cancer victims that needed to make use of Medical Cannabis. The guy on the left with the hail-Hitler salute, is obviously their Drug Czar, while the two on the left represent members of the Nation Drug Enforcement Industries (big bucks in it, even back then), rooting them on. Which means that about 80% of what we know about ancient Mesopotamia comes solely from one source, the Library of Ashurbanapal [aka the library of Kouyunjik], which contained around 650 medical tablets. Thus this brings up an obvious question --- what if this one source had a hidden agenda? What if they had censored some things, but not others? First, it is well acknowledged that the library of Kouynjik, for the most part was not made up of original works, but actually a collection of reproductions from other sources. Meaning someone else had the originals. Example, note that references are made to Azalla, Azallu, Qunubu etc., under various spellings. Obviously this is because the originals (some going back thousands of years before being copied) made reference to Medical Cannabis that way. Next, for whatever reasons, medical textbooks have a way of escaping destruction. Even the evil Narc’s today have not seen fit to destroy all historical evidence of the use of Medical Cannabis. "If a man .... its taltallu you shall cut off, in the . . . for 10 days the waters (juice) of taltallu 2 (part of a palm-tree) you shall drink . . . oil, the gum of the taltallu .... 4 days each Cannabis .... 5 /6 mana of myrrh . . . twice 10 shekels from the land of Carchemish . . . you shall beat it out . . . you shall press it out . . . . " Text (needs further checking) :? In the 1930's America's drug police began a massive dis-information campaign against the use of Medical Cannabis. And while, this website is NOT an appropriate forum to discuss either Reefer Madness or the origin of the anti-Medical Marihuana laws. One however, cannot ignore the fact that the narc's (through verbal slight of hand) have from the very beginning distorted historical facts, even ancient ones to fit their needs. "The drug that takes away the pain, but also robs the user of his soul"
"Medical Cannabis - The drug that takes away the pain, as well as the evil spirit afflicting the victim"
"Medical Cannabis - The medicine that takes away the pain as well as drives away the evil demons"
Because no one today can really speak ancient Sumerian (everyone, including the experts are just taking guesses), one can accept any of the above interpretations (which obviously depend on one's political viewpoint) as being the correct interpretation. Once more this website is NOT an appropriate place to discuss Reefer Madness. The only point being made here is that the narc's have a way of telling only parts of the truth --- those parts of the truth that they particularly want you to know. Please keep in mind that there are OTHER interpretations. - The actual word written on the tablet is a-zal-la, not a-zal-lu? Harper, Robert Francis , ‘Assyrian and Babylonian letters belonging to the Kouyunjik collections of the British museum’, University of Chicago, Chicago, 1896, p. 381. L.Waterman, ‘Royal Correspondence of the Assyrian Empire’ 1936,p.257. Astral Magic in Babylonia By Erica Reiner - Article “Transactions of the American Philosophical Society,” New Ser., Vol. 85, No. 4. (1995), pp. i-xiii+1-150. A Dictionary of Assyrian Botany, London 1949 by Thompson, R.C. 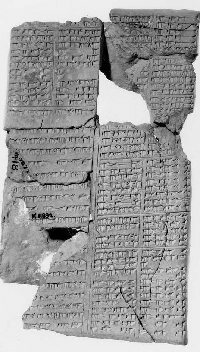 "Assyrian Prescriptions for Treating Bruises or Swellings" By R. Campbell Thompson. The American Journal of Semitic Languages and Literatures, Vol. 47, No. 1. 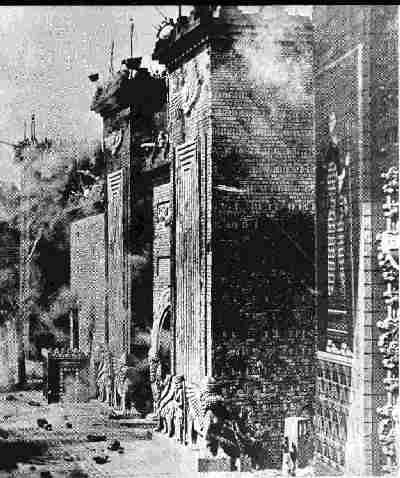 (Oct., 1930), pp. 1-25.